The current DJI Software Development Kit (SDK) provides a total solution for professional users and developers to create customized apps for DJI aerial platforms, allowing them to be used in more creative or specialized ways. 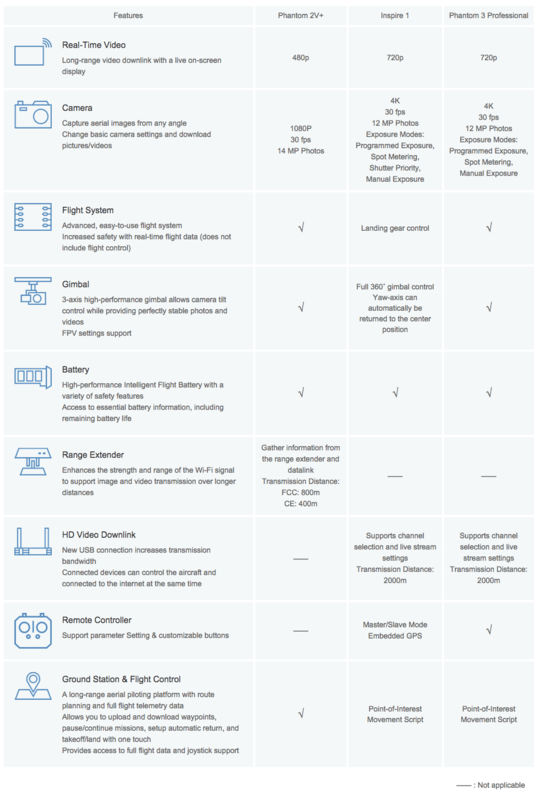 The DJI SDK allows access to the camera, gimbal, Wi-Fi transmitter and flight On Screen Display (OSD), Ground Station and flight control system. It works by sending commands to aircraft through an API, enabling developers to create apps for any need. The upcoming Version 2 of this SDK includes a development kit for iOS and Android systems, and extends support to the Phantom 3 Professional and Inspire 1. These new, more reliable and more stable flight control systems, long-range real-time HD view and other outstanding features allow developers to take their apps to another level. The newly launched Phantom 3 Professional is also the designated flight platform for the second DJI Developer Challenge. A DJI Phantom 3 Professional is equipped with a stabilized 4k camera offering clear and smooth high resolution video, a dedicated remote controller offering long range transmission and a vision positioning system for easy indoor flight. It offers enormous potential for developer creativity.